My son gifted me with this hanging plant. He calls it "pitcher plant". He bought it from a street vendor on his way back home. He told me that this hanging plant is a mosquito catcher. 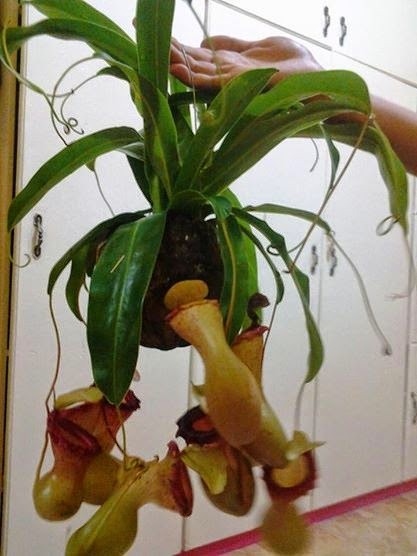 Mosquitoes will be trapped inside the pitcher like flower and this will shake once a mosquito was already trapped inside. Quite exciting, isn't it?